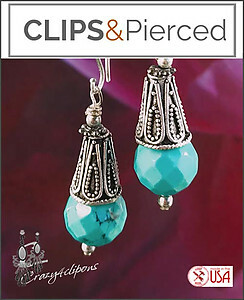 Features: Turquoise & German Silver Earrings. 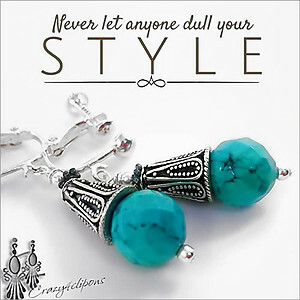 Full of character, these gorgeous earrings feature a lovely 10mm turquoise faceted bead, paired with sturdy german silver (which will not tarnish). 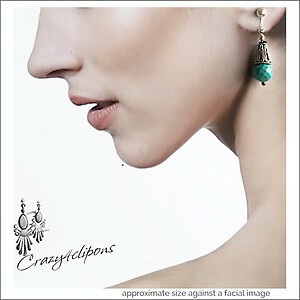 A striking, yet bold look.